I found these fun and interesting looking cookie pops on the Skip to my Lou weekly linky party. 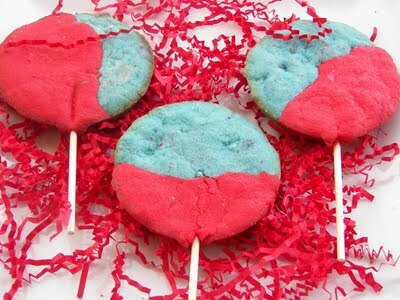 The blog Red Couch Recipes shows how to use flavored jello in her sugar dough recipe to get very colorful and yummy cookies. This recipe got some rave reviews so why not give it to try. You can see the full recipe and tutorial for Red Couch Recipes here.